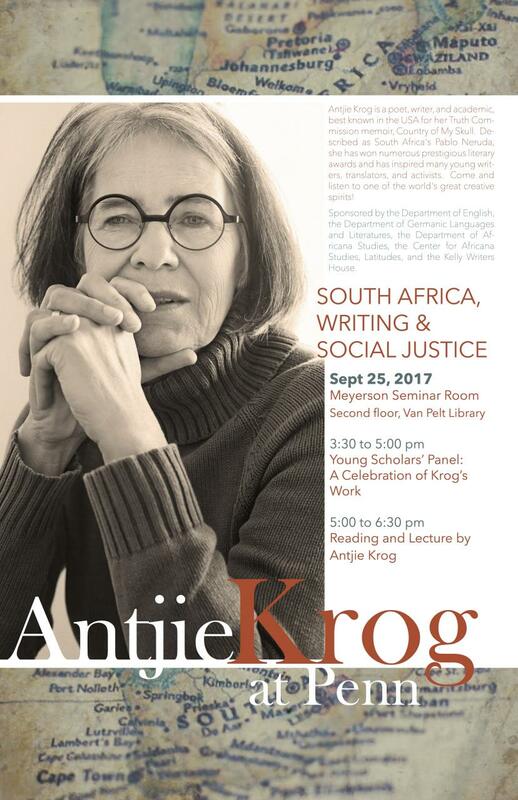 Antijie Krog is a poet, writer, and academic, best known in the USA for her Truth Commission memior, Country of my Skull. Described as South Africa's Pablo Neruda, she has won numerous prestigious literary awards and has inspired many young writers, translators, and activists. Come and listen to one of the world's great creative spirits! Sponsored by the Department of English, the Department of Germanic Languages and Literatures, the Department of Africana Studies, the Center for Africana Studies, and the Kelly Writers House.